First published in 1993. This volume compiles the autobiographies of the management discipline’s most distinguished laureates. Prior to this publication, the available management literature provided little insight into the personal and intellectual lives - the frustrations as well as the triumphs - of the individuals in the management discipline. Although such understanding could be conveyed in many forms, perhaps the most intimate and fascinating of these for gaining behind-the-scenes insights is the autobiography. 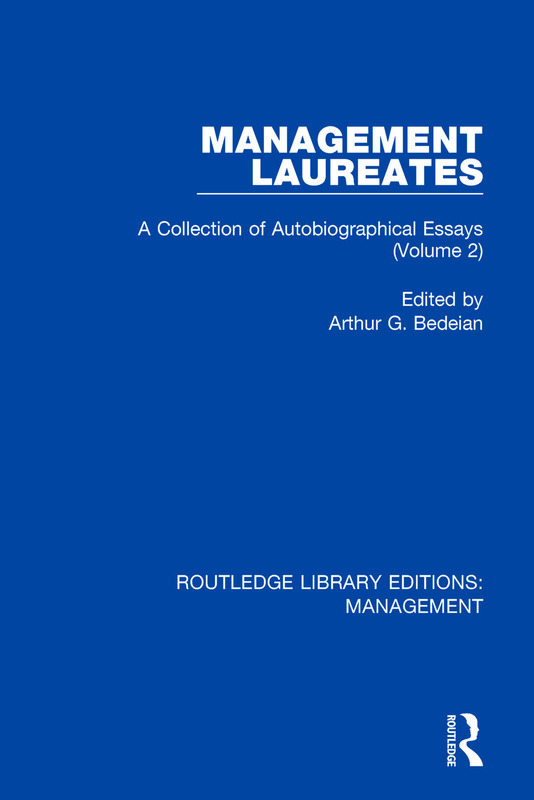 Thus, the autobiographies in this volume, as in the five companion volumes, offer the reader not only a glimpse of the subjective determinants and personal experiences of the management discipline’s most distinguished laureates, but also a deeper understanding of what management is and what it is becoming. The various accounts reflect a diversity of approaches, interests, and experiences.